Properties in Castle Park average 4.4 out of 5 stars. Property 32: Summer vacation at Strandhem! Tidy room with fast Wifi and breakfast included. Property 38: Tidy room with fast Wifi and breakfast included. 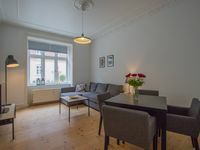 Property 45: AMAZING 200 SQM APARTMENT OVERLOOKING THE CANALS OF COPENHAGEN. 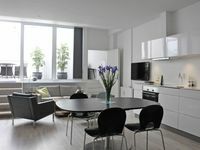 We loved this clean and conveniently located apartment! An easy walk to restaurants and the train! Place was clean and exactly as pictured. With only two of us (a couple) it was a nice size and great location. We both worked from there during the days and enjoyed all the restaurants, wine bars and shops just outside the door. Surprisingly it was relatively quiet as well despite being on a walking street perpendicular to the Strogan. It would be nice if some sheer curtains were added to bedroom and a shower curtain to bathroom. But we&rsquo;d stay again if we come back on business again.